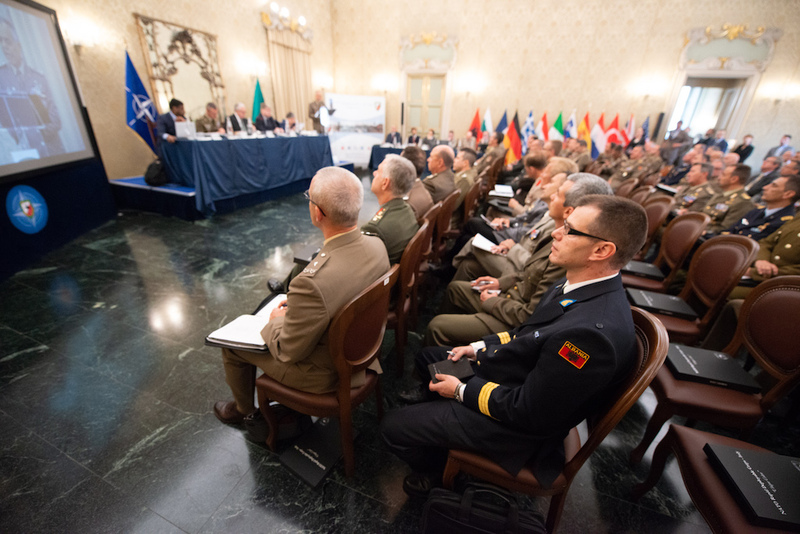 Milan, Cusani palace, 9-10 May 2018 - The annual "Eagle Eye" conference, organized by the NATO Rapid Deployable Corps-Italy (NRDC-ITA) concluded today. 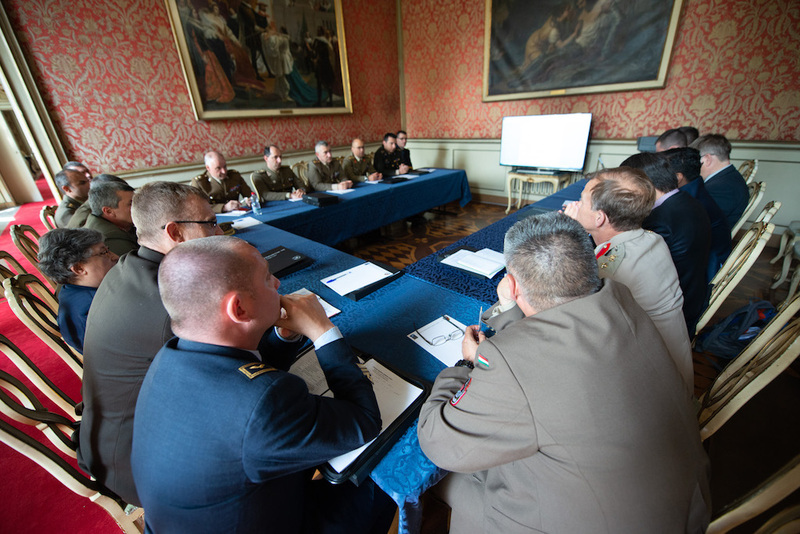 The conference was two days of study and analysis with Academics and subject matter experts to identify possible strategies to support international stability. The focus of discussion was on the importance of the Sahel region of North Africa, the direct influence that it holds over the countries of Middle East North Africa (MENA), and via them, on the Southern flank of NATO, the countries of the European Union and on the the daily life of its citizens. 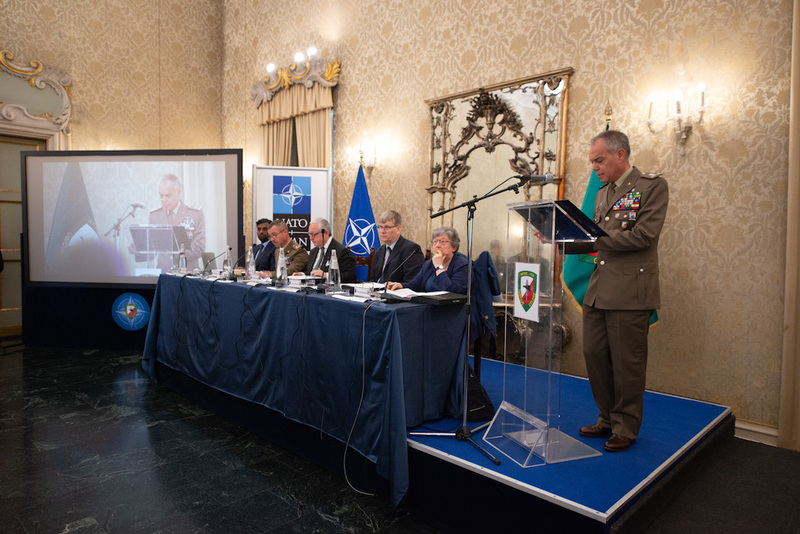 NRDC-ITA Chief of Staff, Major General Maurizio RICCÒ, reminded the audience that the Eagle Eye Seminar represents an important moment for the Headquarters which is highly committed for a better understanding of the environment surrounding the Headquarters, and the importance of situational awareness that is crucial for a credible role in support of stability. From a purely military point of view, the resurgence of long-forgotten challenges as well as new emerging crisis, have pushed Military Staffs to reaffirm traditional capabilities while at the same time develop a full spectrum understanding of security challenges of today and tomorrow. 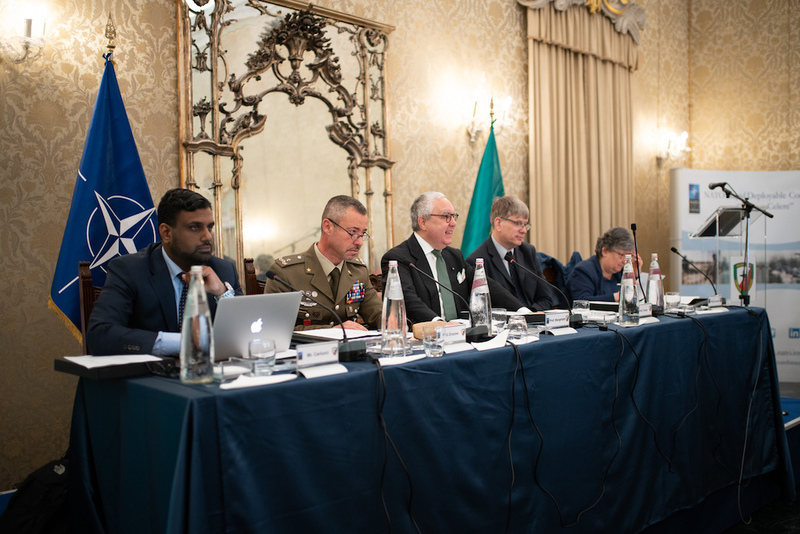 Prof. Andrea MARGELLETTI, Strategic Advisor of the Italian Ministry of Defence for NATO Strategic Direction South, was the moderator of the seminar, with distinguished academics leading the discussion and syndicate work. 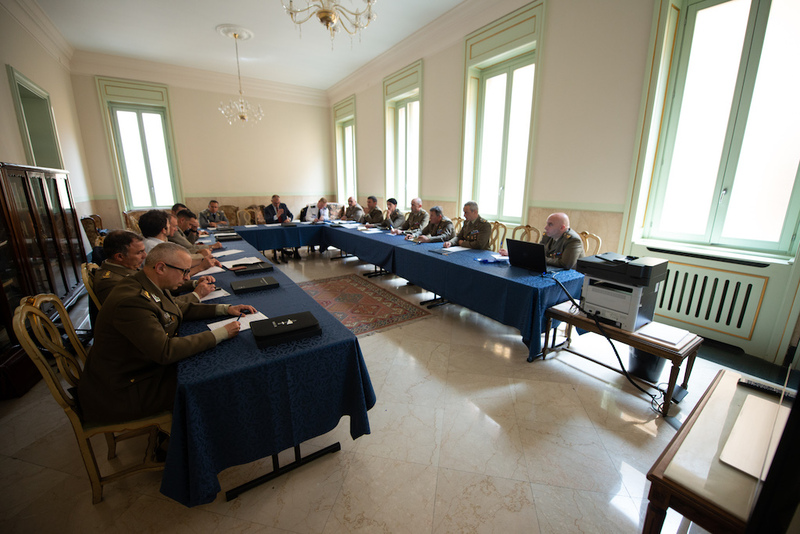 To the Academics and Professors, and to all the experts who took part in 2018 seminar, Lieutenant General Roberto PERRETTI, NRDC-ITA Commander, conveyed his appreciation for their contribution to the development of a new approach on the analysis of instability factors in the Sahel region and beyond.